Note: This text is based on the video below. If you would prefer to skip the reading then go straight to the video (or skip the video and just read). Supercars, they are the car heros we all dreamed of driving when we were kids. When they first were released the cost of entry was out of reach of most of us enthusiasts. Fortunately, depreciation has made a number of cars that most of us could only dream of owning well within reach. Here are the top 5 Affordable Supercars for 2019. 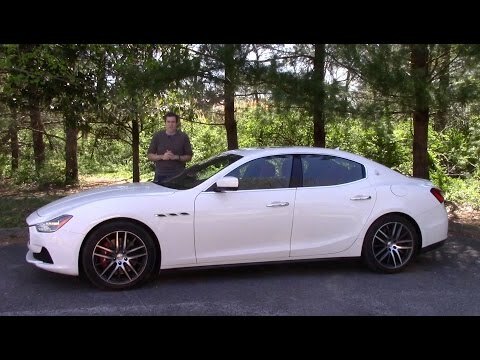 The Maserati Ghibli is the most affordable Maserati that you can buy new. The car offers very good performance from a twin-turbocharged V6. It is at home being driven quickly, but it does so with some sacrifices. The ride is harsh when you are just wanting to drive around town and the steering offers much less feel than you would like. These two combined with a traction control system that seems confused at time lets down the otherwise good driving experience. However, there is a bright side to the Ghibli. 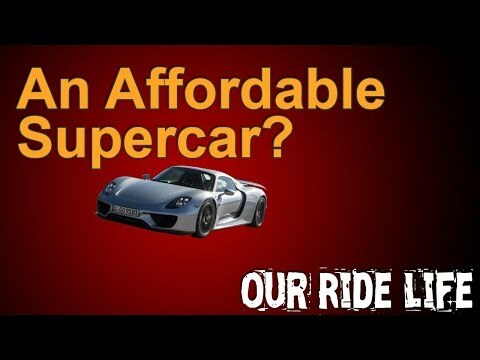 If you are like me you often find yourself looking at the going rate of used sorts cars. Thanks to depreciation, someone that makes a decent, but not huge, income can drive a car that when new would be well out of reach. Recently, I’ve been looking at getting a 997 generation Porsche 911 Carrera. The going rate for a well maintained car in the 2008 model year is in the $25,000 – $35,000 range. This is for a car with between 60,000 and 90,000 miles on it (obviously, you pay less for higher mileage examples). This picture is of a Maserati Ghibli resting outside the temporary Maserati Villa in Carmel. Other cars from the Italian luxury performance car maker were on display inside, but this was one of the cars that could be experienced.